The imaginary realm of music is one of majesty and beauty. 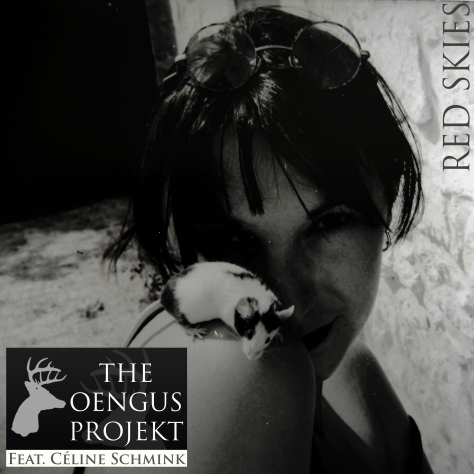 The Oengus Projekt has recently started work on a new album that will bring the fantasy world of musical imagination back to the world. The first track released from the album is "Red Skies" and it has the flare of wonder and the elegance that Enya brought to the music industry. This album has great potential to be a bright light among the mass produced music of modern society. From the first note, I felt tones of surrealism envelop my ears and bring me to a new state of mind. Just as my Pink Floyd albums have done so many times when I need to unwind and escape the repetition of the day to day tasks that loom. "Red Skies" has a fresh new approach to music and the organic feel of the lyrics just blends into the music and brings a new feel to the texture of the sound. A texture that lures you to close your eyes and drift away in to the depths of your own mind. Music like this is so precious and has a deep spiritual connection with our subconsciousness. It helps the hidden side of our minds bloom and reach out to the light. Take a moment to listen to the new sounds from The Oengus Projekt. They're French Musicians that find influences from all corners of the globe. Influences : Dream pop / Fantastic.